Plans are in the works for the rezoning of a 15-acre swath of land surrounding Anable Basin that would make way for eight large mixed-use buildings—including a 65-story tower–that would consist of nearly 5,000 residential units, light manufacturing and retail space. The majority of the land, 12.7 acres, is currently owned by Plaxall, the plastics manufacturing company that was founded by Louis Pfohl in the 1930s and has been located at 5-46 46th Avenue for decades. Pfohl and his children purchased several parcels surrounding the basin over the past 70 years, which are now owned by his grandchildren Paula Kirby, Matthew Quigley and Tony Pfohl—and their respective kin. 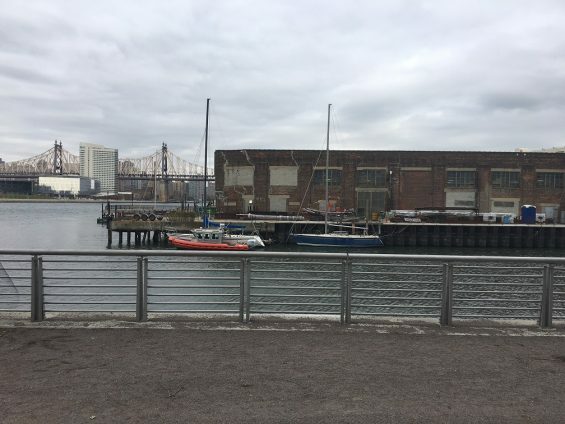 Those parcels, which have historically been warehouse sites, are currently occupied by tenants such as Barneys New York, Rockaway Brewing, LIC Flea & Food, Digital Natives and Tietz Baccon. 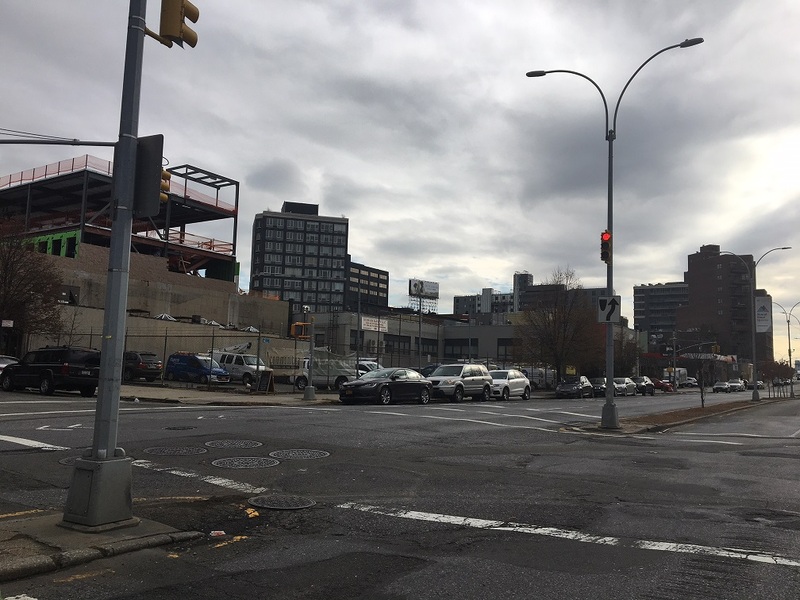 The family is seeking to establish a special mixed-use zoning district bordered by 44th Drive and 45th Avenue to the north, Vernon Boulevard to the east, 46th Road to the south, and 5th Street and the East River to the west. The land contained within the district–excluding the Paragon Paint building and an adjacent site on Vernon Blvd—is owned by Plaxall. The 15-acre area is currently zoned for manufacturing (M1-4). The plan put forward would permit manufacturing and high-density residential. Plaxall’s proposed tower—the size of the Citicorp building—would go up on 44th Drive where the Anable Basin Sailing Bar is located. The structure–reaching a height of 695 square feet–would go up next to the city-owned parcel where TF Cornerstone, zoning permitted, is likely to build two towers consisting of 1,000 units. Seven other buildings–ranging in height from 645 square feet to 230 square feet–would go up on other Plaxall sites. The taller buildings would be located by the East River and the shorter ones near Vernon Boulevard. At the base of the eight buildings would be retail, community facilities and light industry. Light industry would encompass high-tech firms, artisans, bakers, makers and artists. The rezoning would likely lead to the development of 335,000 gross square feet dedicated to light industrial and creative production uses, Plaxall says. It would also encourage developers to provide 40,000 square feet for arts and cultural uses within the 15-acre district. The rezoned district would permit Plaxall—or successive developers if the property were sold– to build 4,428 units on its property, with 567 units on non-Plaxall sites. Of the 5,000 total units, 25 percent (1,250 units) would have to be “affordable” under the city’s Mandatory Inclusionary Housing Program. Plaxall anticipates that it would take 15 years to complete the plan and it would be done in phases. The existing buildings would be demolished with each successive phase. Plaxall aims to get its plans certified by City Planning in spring 2018 which would trigger the ULURP process, where the zoning proposal would be reviewed over a seven month period by Community Board 2, the Queens Borough President, the City Planning Commission and the City Council. Plaxall, which is a relative newcomer to the area of real estate development, has brought on Jonathan Drescher from the Durst Organization to work with the family to oversee its rezoning effort. 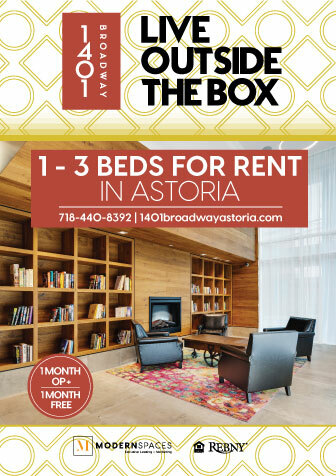 He worked on the Halletts Point project in Astoria—which was successfully rezoned–and on the massive Clock Tower development site in Queens Plaza. “We are fully engaged in detailed planning…and through our plan, the new Anable Basin would be a place where people live and work in the same place – enhancing quality of life, productivity and easing the demands on transit and energy infrastructure by placing workplaces close to home,” Drescher said. 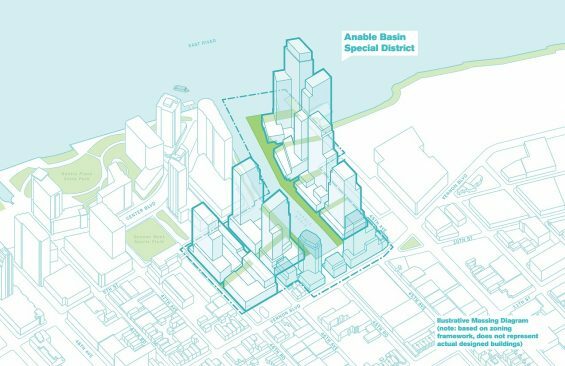 Under the proposal, Anable Basin would be opened up to the public, with a bi-level public esplanade and improved connections to Gantry Plaza State Park. The 3.7 acre basin, which is largely inaccessible, was built in 1868 in order for barges to get in and out when Standard Oil occupied the space. 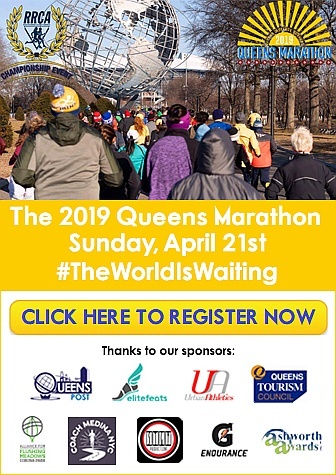 The public space proposed as part of the rezoning would link the parks along the Queens West waterfront to the south and Queensbridge park to the north. The esplanade would be elevated to increase flood resiliency. The company would also provide give-backs as part of the rezoning. It would donate a site on 11th Street and 47th Avenue for a 700 seat public school. Plaxall estimates that its proposal would support at least 2,200 to 2,600 permanent full-time jobs after the 15-year build out— five times the number of existing onsite jobs there now. The construction would also lead to more than 10,000 jobs. The company does anticipate some pushback given the scale of plans but argues there are many upsides. “We believe we have a very persuasive case that the benefits of our project—affordable housing, great public space, school seats, retail, light industrial and artist workspace—make this a plan that really meets some important local needs,” Quigley said. The company argues that there is demand for housing and the proposal promotes the concept of people living and working in the area. Furthermore, the pressure it would put on the 7 train is unlikely to be that great, given the ferry and its proximity to the Court Square subway station—which has the E, M and G trains. The family points to its deep roots in the community and how it has thought through the plans to benefit everyone. 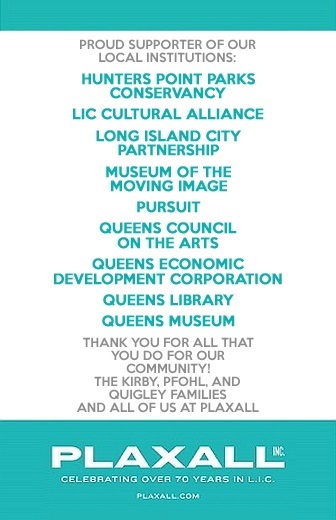 The company has long been involved in local groups such as Coalition for Queens, the Jacob A. Riis Settlement House, LIC Cultural Alliance and the LIC Partnership. I enjoyed the article, but Christian – on what do you base your opening statement “majority of the land, 12.7 acres, is currently owned by Plaxall”? Typically when a developer steals from the public in such a blatant way the press calls them out on their atrocities and some public good is extracted for the communities benefit. Here it’s simply being done to enrich Pfohl’s spawn, who so far refuse to even take responsibility to clean up the Basin from which they are dredging up hundreds of millions in profits. Plaxall has been in LIC for over 70 years and has earned the trust of the community; it’s the antithesis of a build-and-leave outfit. They’re selective about commercial tenants with an eye to businesses that bring creativity and services to residents. 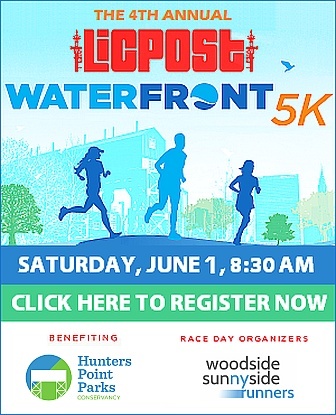 Some upgrades by Plaxall and the City are necessary for this development to be sustainable, especially innovations that will reduce combined sewer overflows into the estuary. Anable Basin must be dredged to remove its legacy paint factory or oil cannery pollutants. Ferry service might need to be increased, and I think the old Queensboro Bridge stanchion elevators should be revived to ease access to pedestrian and bike paths on both north and south sides of the span. Perhaps even revive the trolley? As a personal preference, I’d love to see an attractive spire on the tower. So tired of uninspiring Modernist flat-tops. Architecture must be held to the standard of public art as we all have no choice but to view it. That, alas, is a pipe dream for nearly all developments in each borough. All-in-all, from my experience (and I’ve had my disagreements with Plaxall) if any developer should garner community support, and if any developer is likely to respect community input, it’s the Pfohl, Quigley, and Kirby families. It is possible to run 7 trains that start at Queensboro Plaza and go to Hudson Yards. It is possible to run E trains that start at Queens Plaza. G trains can also go beyond Court Square . There’s lots of flexibility if the MTA can find the will to do it. Maybe they should have different numbers or letters. Another train is eventually going to be needed to come out of the Steinway tunnel to service the thousands of housing units expected to be built on top of the Sunnyside Yards. Maybe Long Island Railroad passenger trans picking up there as well. The Vernon Blvd. bus can be run all the way down to the end. The school proposed only has 700 seats and is on 47th & 11th, while all of these other plaxall properties are nearby the existing school and border th kickball field. Why not address the overcrowding issue by building another school that helps address some of the overcrowding issues. Also, retail space is great provided it’s actually rentable. Few businesses have been able to thrive here due to hiked up rents. Making LIC livable would include being able to shop here rather than go into the city or deeper into Queens Mall to get anything. Just yesterday, I watched the scene from the movie Wall Street, where Michael Douglas is asked:”How much is enough? !”… Please let’s not have a beautiful area turn ugly… Too bad we couldnt vote in a new Queens Borough President,etc. Am concerned too many of the movers& shakers have.fallen under.the spell of “the Ring”, as in the Lord of the Rings movies.. Enough movies..Hey, how ‘ bout a movie theater there? Not 5,000 apts..
Nyc needs more housing, workspace, better transportation, homeless shelters, etc. Nimbyism is killing the city. We don’t need homeless shelters if you build true affordable housing, housing that both low income and middle income can afford. Single, middle income earners are mostly shut out of the housing lottery system. There is a big gap in that system. So yes to housing, but NOT 65 story building, keep the factory work spaces so that start up companies can use them. Transportation needs to be improved, and I should be able to get up at decent hour to get to work with out having to be shoved and pushed into an overcrowded train. 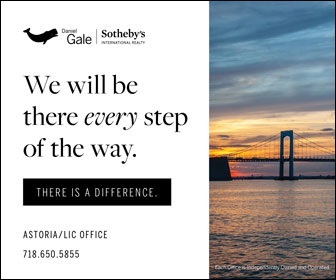 Lets not even discuss if the train breaks down and we are now herded toward the E,G, or M. Our waterfront is developed and being developed, but again WHY THE 65 story building? NO NEED! All you people want affordable housing everywhere but who’s going to foot that bill? I don’t know who you people are? But what I don’t equate “affordable” to a $3000 rent for a family. Make no mistake a lot of people living in the LIC rentals are sharing/living with other people to afford the rent. When you hear the families of 4 live in a STUDIO! because rents are to high, that’s what I’m talking about. I’m not looking to rent an apartment for $500, 600, or even 800, but rentals are ridiculous. We wont even get into the purchasing of condo’s starting at 700,000 for a studio. I make a pretty damn good 6 figure salary and I cant afford it. As for footing the bill….get real, I already “foot the bill” because of high taxes I pay. I always get a seat on the 7. I don’t understand why everyone is talking about overcrowding on that train. Why don’t you all just get up earlier? Getting up and out earlier may work for some but there are many families that need to drop their young kids to daycare and school here in the ‘hood before they go to work. We are locked into the opening/drop-off times so not a lot of flexibility there. Bulls_it. If you leave your house at the normal commuting time of most office workers and live in LIC, you are not getting a seat on the 7 train unless you drag someone onto the floor and steal their seat. If you like this proposed project and don’t might being crushed to death on your subway ride, just say so. Cut out the lies please. I don’t know what the normal commuting time is for everyone else, but I’m on the train by 6:45. Excuse me I’m on the E train at 6:10 AM and there are never any seats! It’s fully packed and yes even the 7 is as wel early in the morning! Oh great, these luxury condo developers, like the one I voted for for president are ruining LIC. Why don’t they stop hurting low-income families, the same way the sexual predator I voted for for president is hurting them with tax breaks for the rich? The sexual predator you voted for for president has been out of office for years. The current idiot made a distasteful joke. No need to malign the President of The United States. Don’t Blame him for all this nonsense. BTW, sexual predator Bill is now out of office! Blame the community boards, who dont have a backbone to put a stop to all the rezoning, blame our council man JVB who thinks its a wonderful idea (all in the name of community services and affordable housing) and Building Dept. Board of Standard and Appeals, who REALLY don’t care what the community has to say about these buildings. Blame the Democratic Mayor who wants to build taller and wider. 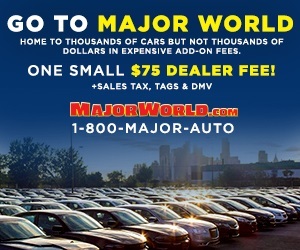 This Democratic Mayor has his own agenda, AND last but not least our Democratic/Republican/Democratic 2 term–oh wait 3 term, oh wait…put it back now to 2 term Billionaire Mayor Bloomberg, who put this crap into motion (and you can’t tell me he is not making a big profit from all this now). In response to this ridiculous notion that the President of the US is to blame for anything that is happening in LIC right now, just STOP! Why dont we start passing the blame from the top down lets start with former Democratic/Republican/Independent Billionaire Mayor Bloomberg who went from 2 terms, 3 terms (cause Im so great at what I do), back to 2 terms. He created this city of millionaire developers. Democratic Mayor DeBlasio, who want to build taller wider buildings so he can make more affordable housing, thus overcrowding already overcrowded neighborhoods, overburdening city services and transportation. What about your Community Board 2 who really has no says about anything, but will readily give their approval all for the sake of getting back a little bit of community space. Half of the community board doesn’t even live in the immediate area that some of buildings are being built. Lets move onto council man Jimmy VB, he thinks everything is great and would be wonderful for the community..again, he dose not live in the immediate area that these buildings are going to be built! Lets not forget the Board of Standard and Appeals who will give their ok to developers, not caring a lick for the neighborhood people that live their or what they have to say. They have an agenda brought down by the Mayor ! I love this. 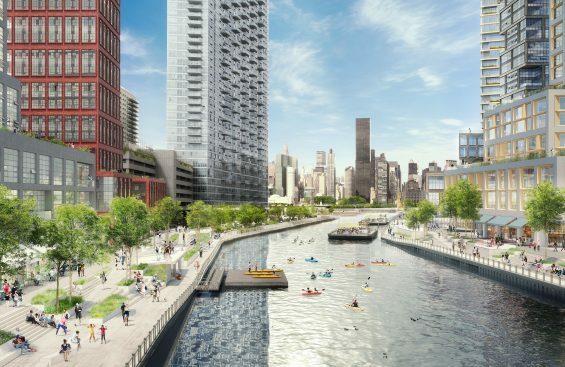 It is about time New York City develops its waterfront. It has been underused and under appreciated for too long. Bloomingdales announced 1,000 jobs coming to LIC just the other day. Many people will be able to walk or ride a bike or take the planned BQX. In my opinion, this is exactly the direction we need to go in as a city. As said above, the E and M trains are already slammed. The ferry is not going to handle that much more traffic. 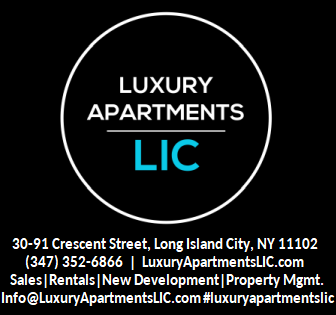 LIC has been developed at a ridiculous rate and more housing is not what we need. In the next few years, apartment values are going to drop due to the oversaturation. Also we are in a flood zone, we saw what can happen with Sandy. 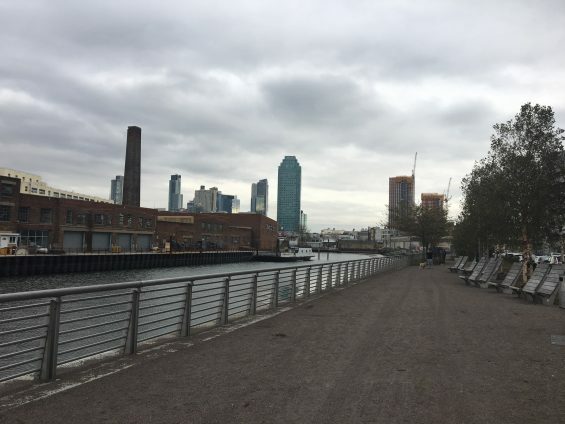 Why is there still talk of development of this intensity at the East River? I’ve lived here in the same walk up for 11 years; I loved the mix of industrial and residential when I got here; the then quiet streets. 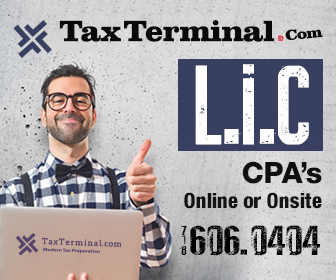 This is the project that will make me leave LIC. This is a great and sensible plan thgat will replace outdated 1-2 story warehouse spaces that provide few jobs with structures that house more jobs in up and coming companies. 5000 additional units will help Hunters point to reach tthe critical mass that will make a further improvement in amenities economically feasible. A school is great but Hunter’s point also needs as rec center with rentals community spaces and a large pool. OAR & Anna Finn are 100% CORRECT. STOP ruining the neighborhood with all this OVER BUILDING!!!!!!!!!!!! People that have moved here recently will start leaving. Don’t think the Ferry Service will be enough. It won’t. The G should run further into Queens to 71 – Continental Ave as it used to. The fact that it ends at Court Sq makes for very crowded E-M-& 7 trains at Court Square. We all know what they call affordable is not affordable to most middle class. The city and Jimmy Van Bramer should Reject any new Housing development as we are FULL in LIC, Enough is Enough Already !!!. Luxury developers like the one you voted for for president? The tax breaks he’s giving to the rich are hurting the middle class too, I guess that’s why you voted for him for president? What a hypocrite. 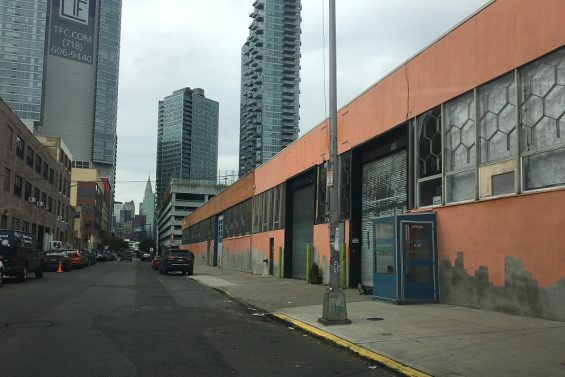 For God’s sake…please stop the over building of Long Island city! 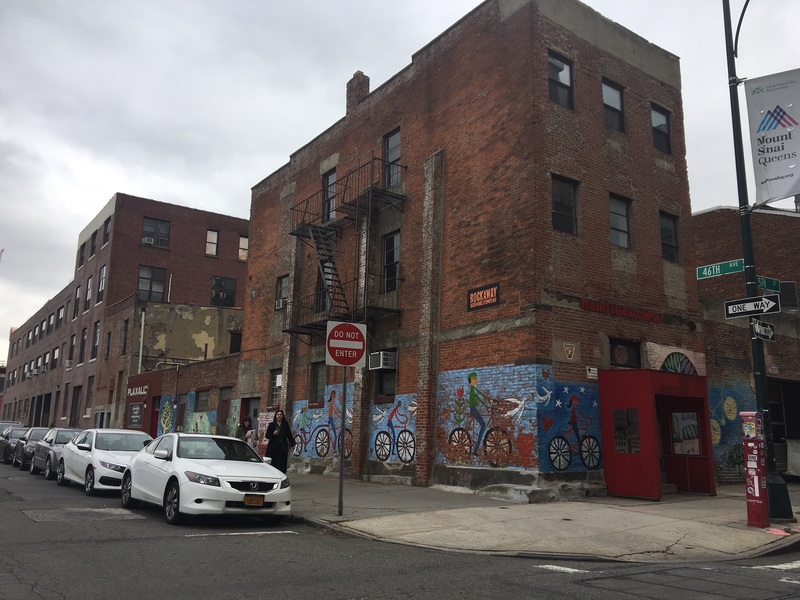 The city and the community board have allowed developers to take this wonderful small community and turn it into an over built, overcrowded, big city all in the name of what is going to be great for the community and affordable housing. Why do we need a 65 story tower, why do we have to squeeze 5000 more housing units, residence can bearly squeeze on the #7 as it is. Where is all the transportation and services to accomadate all these people? And as for affordable housing….for whom….the middle class is completely squeezed out of that equation! Heaven help us all if we allow the rezoning of this area for this MONSTER project! See, there are two different systems at play. Private free markets and government controlled markets. Real estate industry and MTA. There’s such differences that they’re no collaboration or organization. Sell the MTA to Google or Amazon. Com’on Albany…. just put this one to sleep already! Agreed. It’s a nightmare. The platform is so tiny. I’ve seen a few fights on the platform after the train pulls in and people try to exit through the masses. As for the buildings, let’s not forget the giant residential tower they’re going to build across from the Citi building on 44th Drive and 23rd Street. The nightmare never ends.